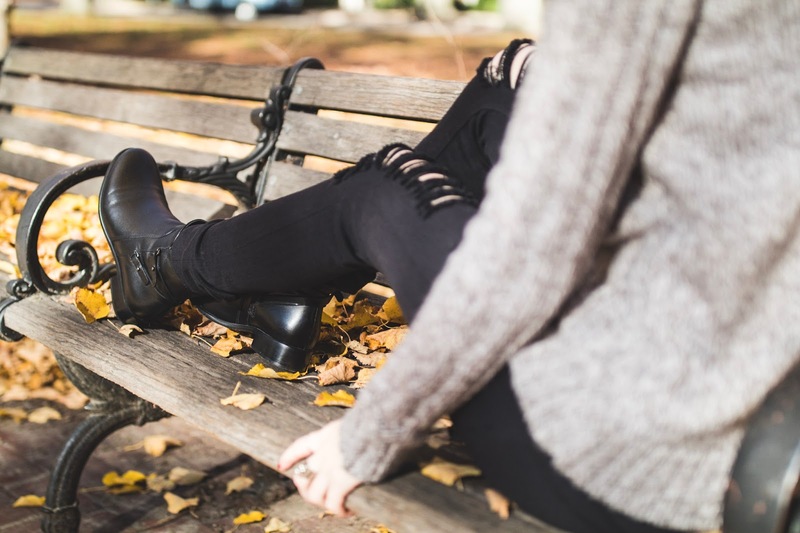 Simons Shoes + La Canadienne Boots Giveaway! This month is all about gratitude and giving back, and one of the things I’m so thankful for is this amazing blogger community I stumbled upon 3 years ago! I’ve teamed up with Simon’s Shoes to give away a pair of their gorgeous La Canadienne Boots to one lucky winner! Be sure to enter at the bottom of this post – these boots are valued at $400 and make a great gift for a friend or family member, or just to treat yourself for a year of hard work! There’s nothing quite like a sturdy, high-quality pair of shoes, and Simons Shoes has countless varieties and colors to choose from! I’m obsessed with every shoe they carry, because they value not only style but comfort as well. I don’t care how cute a certain shoe is – if it’s not comfortable, I probably won’t wear it more than once. So the fact that Simons Shoes offers boots that both look and feel good is so important to me. Plus, it’s so important to support small, local shops these days – and Simon’s Shoes has been a local landmark in Brookline (just outside of Boston) since 1892! Talk about history! Can we just talk about these Sharon booties by La Canadienne for a minute? They’re sold at Simons Shoes, and how perfectly chic and sophisticated are they! 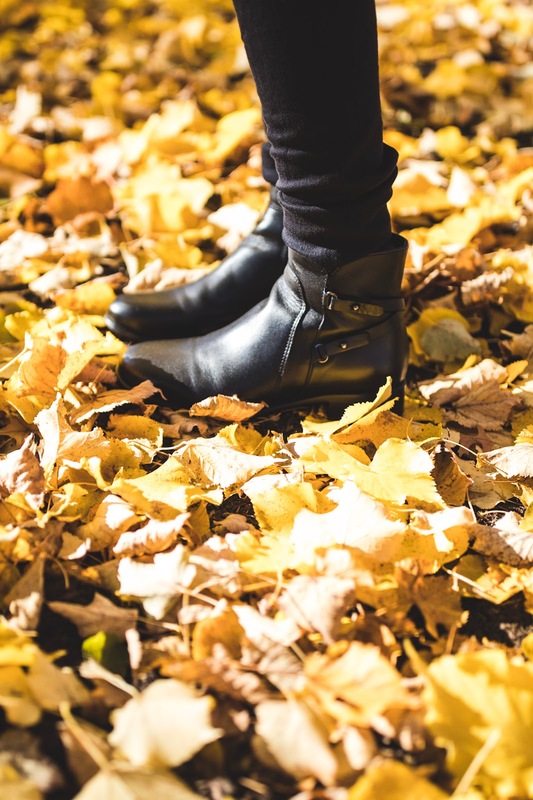 I love the click of their heels as I walk among the fallen leaves of fall, and their sturdy waterproof leather carries a timeless style. The buckles add a perfect amount of edge and personality. La Canadienne began 45 years ago in Montreal, Canada. Part of my family comes from Montreal – my middle name is the French Canadian “Dion” – so this is near and dear to me. 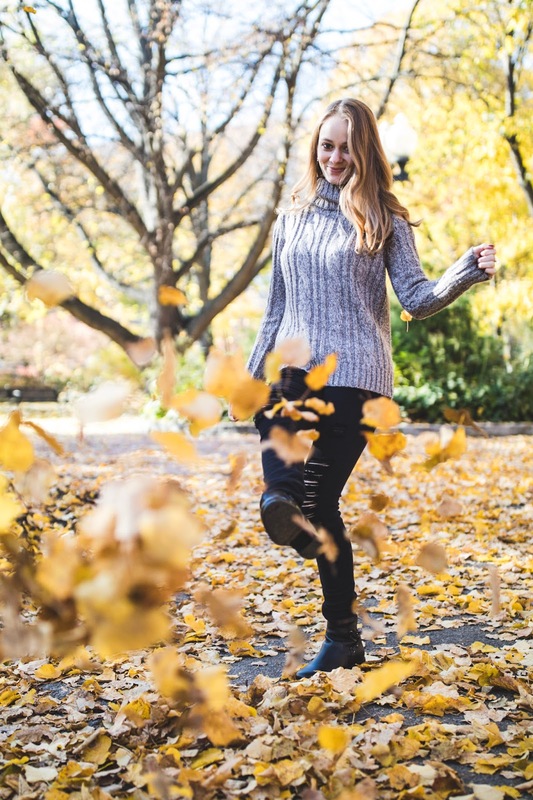 Their mission is to create versatile and comfy boots that can withstand the chilly sleet and snow of winter months in Canada, so you know they’ll protect your feet no matter the weather! These boots are eco-friendly too, using Italian hides that are by-products of the food industry. They utilize and re-purpose materials that would otherwise have been discarded. Even the boxes are made from recycled materials. These boots are a closet staple. They’re so versatile, and I’ve worn them with everything from skinny jeans and a warm sweater, to holiday dresses and skirts. I recently wore them with a red and black lace dress for Thanksgiving, and they gave the outfit that extra edge and chic style factor. I can’t wait to try them with black tights and a plaid skirt for holiday parties! 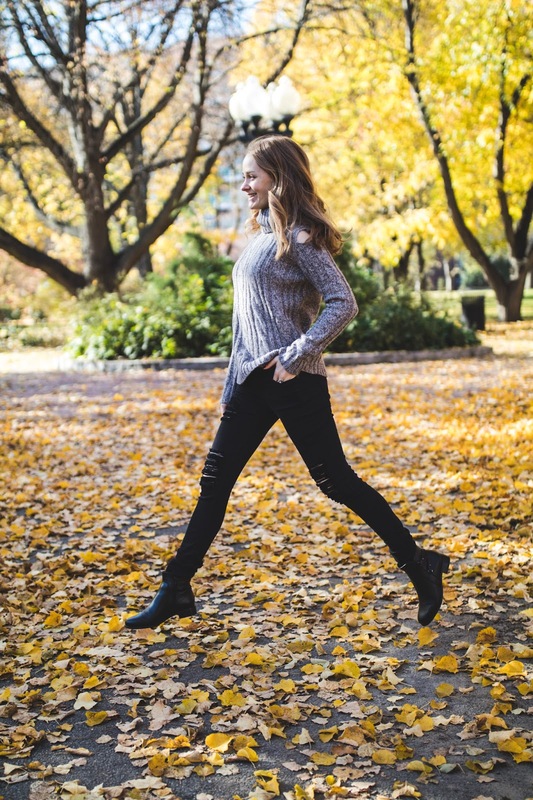 These boots are so comfortable that I’ve easily gone on long walks in the park and holiday shopping sprees in them! They’re perfect for date night, girl’s night, holiday events and travelling back home for the holidays. Above are just a few other staple boots from the La Canadienne line. I’m so impressed with all of their chic and timeless boots. 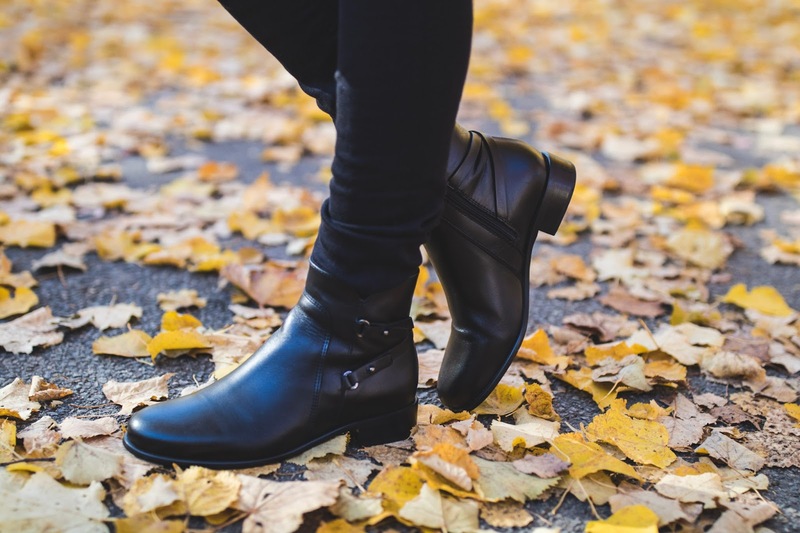 I’m clearly smitten with these boots from Simons Shoes, and I know you will be too! Be sure to enter the below giveaway just in time for the holidays – it’s open to all U.S. residents! Terms: No purchase necessary. Winners will receive the boots showcased on this blog. Available to U.S. residents only. Giveaway ends on 12/14/2016. Winners will be chosen randomly by Rafflecopter, notified via email and announced on this page after the giveaway has ended. 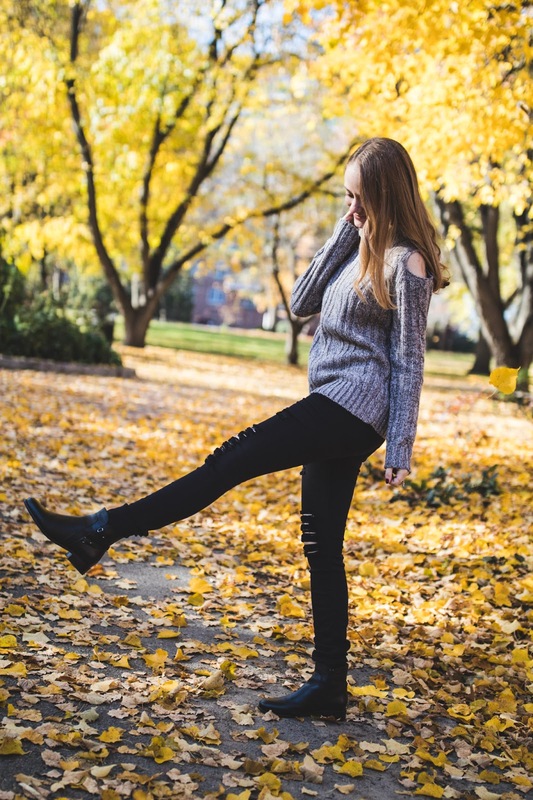 Comment Challenge: Do you have a favorite pair of boots? 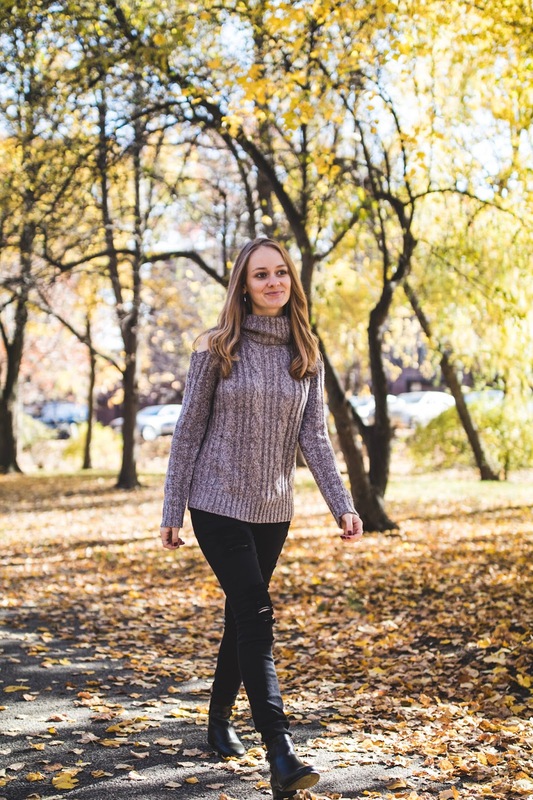 Previous Post November Fashion + Food Roundup!